The Sundarbans, the largest of the littoral mangroves of the world spreading over the coastlines and hinterlands of India and Bangladesh, is the dwelling place of the renowned Royal Bengal Tiger and estuarine crocodile. The Sundarbans National Park was declared one of the natural UNESCO World Heritage Sites in India in 1982. Of late, the Sundarban has also come up among the finalist contestants of the New 7 Wonders of the World. The Sundarbans forest spreading over a huge area measuring more than 10 thousand square kilometres is the largest tidal halophytic mangrove forests of the world. The Botanical Survey of India records D. Prain's research on the flora of Sundarbans, enlisting 245 general and 334 plant species in 1903. Since then in the last century there have been vast changes, though little official efforts have been made to make a complete survey of the Sundarbans flora, enriched with Sundari, Garan, Gewa, Keora and many more. 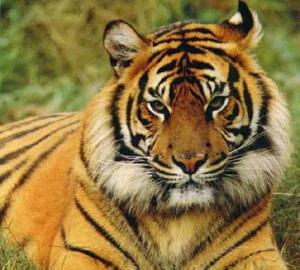 Nevertheless, Sunderbans Tiger Reserve is more famous for its wildlife. The Royal Bengal Tiger (Panthera Tigris Tigris) is the most known and most elegant habitant, with a population of more or less 270 according to the 2011 Tiger Census. The rich wildlife of Sunderbans Tiger Reserve include estuarine crocodiles, leopards, Chital deer, Indian muntjacs, leopard cats, Gharials, Rhesus Macaque (common monkey), wild boars, Gangetic dolphins and many more. The Sundarbans wildlife sanctuary also hosts a wide species of birds. The brown winged kingfishers as well as masked finfoots are some of the endangered and most beautiful birds among the somewhat 170 species of avifauna of the Sundarbans. Some other mostly seen birds in this national park are storks, water hens, white ibis, pariah kites, spotted doves, coots, swamp partridges, mynahs, herons, pelicans, lots of ducks, stints, woodpeckers, plovers, pintails, teals, cormorants and many more. From Kolkata to Sundarbans by road: Accessing the Indian part of the park is quite convenient. There are lots of buses, reaching Kolkata to Sundarban by road, usually departing from Deshapriya Park and Science City, Kolkata. The boarders are shifted to large 45 seater boats at Sonakhali for a river cruise in Sundarbans. The boat will sail down the waters of Hogol, Korotal and Gosaba rivers through Shojnekhali and Peechkhali. The last major habitation point is Gosaba, a river junction, after which the forest becomes dense to the point of impregnability and villages are too scarce to find. The distance of Sonakhali from Kolkata is 100 km. Some other major places in Sundarbans where buses regularly ply from Kolkata are Raidighi (75 kms), Najat (92 km), and Namkhana (105 km). Sundarbans safaris from Dhaka-Khulna are regularly available, varying from single day trips, overnight trips, or even weekly ones. You can start planning your Sundarban packaged tour from Khulna; however you are likely to face some hassles to obtain a permit from the Divisional Forest Office in Khulna. 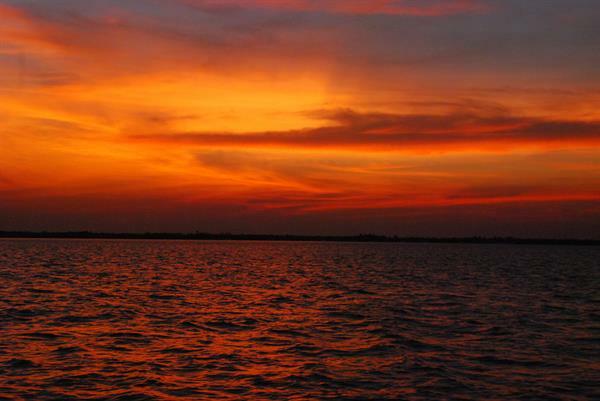 Having the permit, hire a boat to Sundarbans from Mongla or Dhangmari and embark at Hiron Point. Hire a Sundarban travel guide to lead you further into the forests. Last but not the least; you need to negotiate well if you are a foreigner. The car service providers, the boatmen and the like will possibly charge you four to five times of what the locals pay. For example, you might require to pay the boatmen Tk 250-300 where the locals pay something like Tk 70-80. The best time to visit the park depends upon the object of your interest. If you are an avid bird watcher, you would love to be in the Sundarbans National Park during the wintry season, mostly December and January. Migratory birds flock to the swamps and wetlands of the Sunderbans Tiger Reserve every year in numbers. The ambience of the forest, on the other hand, is best after the monsoon, with the rivers full, and the verdure of the forest rejuvenated with fresh showers. Crocodiles, dolphins, gharials and other water fauna are more frequently noticed during the rainy season, along with a wide variety of snakes. The summer is hot and humid, and if you are not accustomed to the summer in the subcontinent, avoid it. The people of Sundarbans are mostly quite poor and live by fishing, chopping woods or other jungle based occupations, the risk of being killed by predators notwithstanding. Tiger attacks are very frequent on the villagers of the Sundarbans. However there is no risk for tourists at all, unless you embark in a solo venture into the bushes. The popular culture is somewhat different from the mainstream Bengali culture, influenced by their lifestyles day in and day out. Try to see an open air theatre or jatra. If you are thinking of something to buy at the Sundarbans, there are a lots of things. The honey is fresh and cheap and is worth purchasing. You can also buy some local handicrafts of Sundarban. Try some of the local dishes of fishes, prawns and lobsters. Please note that Sundarbans National Park is a no plastic zone. Do not carry mineral water plastic bottles, packed chips, or other edibles inside the forest. Use local paper made bags or thongas instead. Sunder Chital Tourist Lodge, Sajnekhali - This tourist lodge of the West Bengal Tourism Development Corporation Ltd. has 30 double bedrooms. There is no air conditioning. Being at a close proximity to the forest, it can give you the perfect ambience. Sundarbans Jungle Camp, Bali Island - It is located at the western range of the park. For booking, contact +91 32 1821 494, +91 33 2455 0917, +91 33 2485 4584. Some of the other popular tourist destination in PaschimBanga (West Bengal) can be read here including Lava Lolegaon, Mandarmani - a weekend getaway from Kolkata etc. Where to stay at Shantiniketan bolpur during Basanta Utsav or During Poush mela is a big question. In this article you can able to get Information about Hotels, Resorts, lodges and Guesthouse at Bolpur Santiniketan. Find hotel direct contact numbers or phone numbers and rates here. Itonda is a small village in West Bengal. In this article find details about the historical tourist spot Itonda. Find the history of Itonda, What to see at Itonda visit. Find How to reach Itonda and where to stay there. The Spot is near Bolpur Santiniketan in West Bengal. Well presented blog on Sundarban Tour. You have covered the Journey very well. Thanks for sharing all useful details about Sundarban Tour.